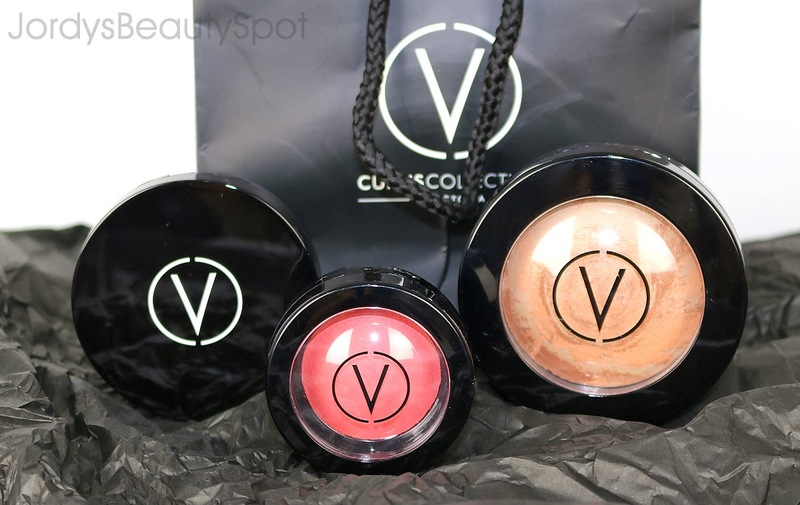 Curtis Collection by Victoria is an Australian owned boutique makeup brand, offering a prestige line of professional cosmetics. These products have said to be loaded with vitamins and minerals that result in higher performing products and they are also based around illumination to give a healthy glow. 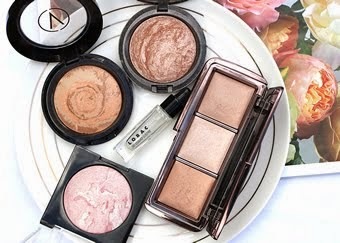 In this review of Curtis Collection we will be looking at three different products; an illuminating bronzer, a baked blush and an eye shadow quad. 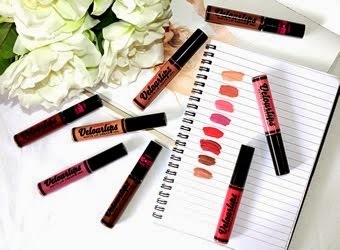 Swatches will also be included to help give a deeper insight into how the products look on the skin. 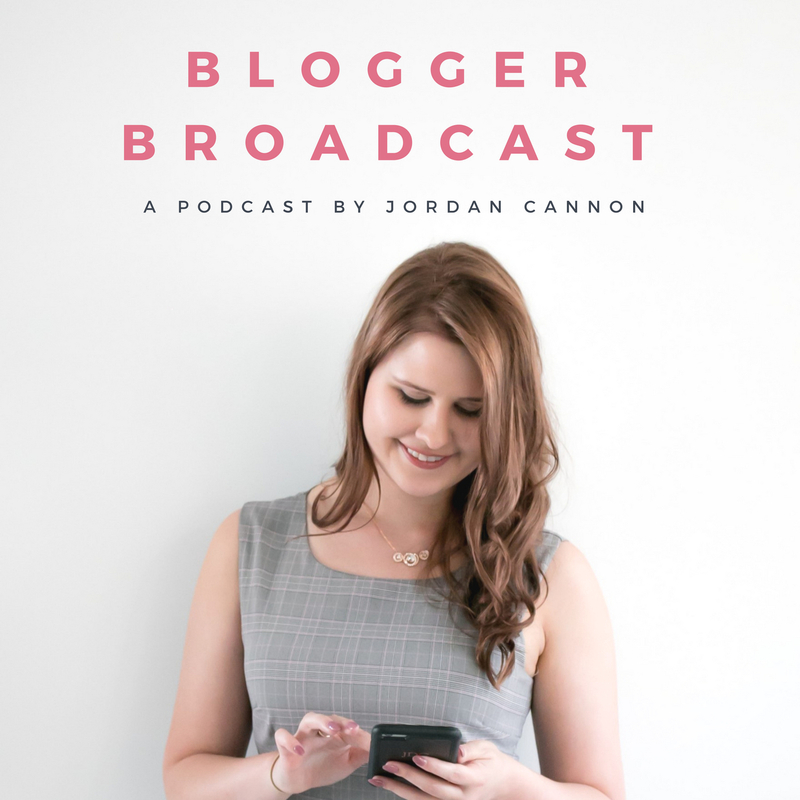 So if you're interested in learning more about this brand and these products then keep reading. Baked Illuminating Bronzer "Sun Goddess"
At first I thought this was a highlighter because of how pale the colour is and how shimmery the formulation is but soon found out that it was a light bronzer. Despite this, I would say that you can use the Baked Illuminating Bronzer for multiple purposes; bronzing, blush and highlighting. Something to keep in mind though is that this may only be the case for "Sun Goddess" and even "Bronzed Goddess" but not so much "Island Goddess" which is slightly too dark to work as anything but a bronzer. The consistency is super soft and blendable, almost like a creamy powder that effortlessly glides onto the skin. 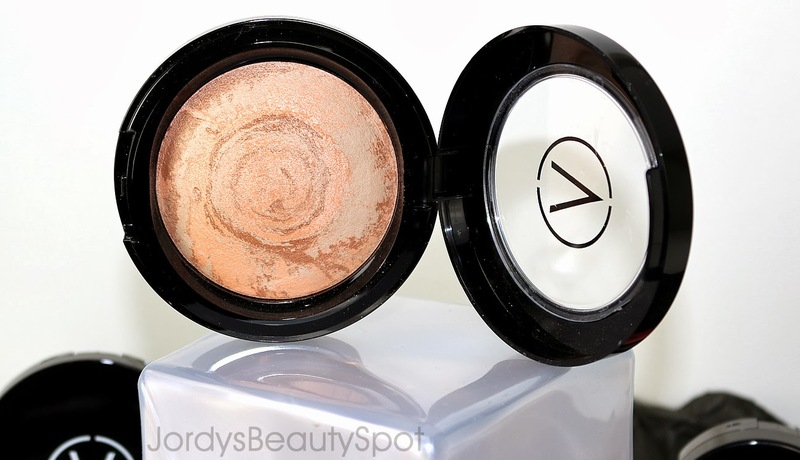 These Baked Bronzers retail for $49.95 and contain a fair amount of product, comparable in size to a MAC MSF. 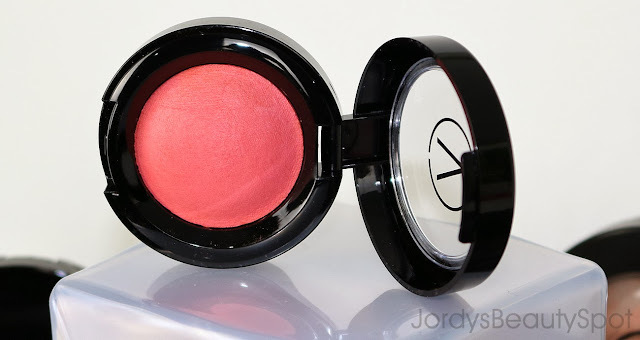 These baked blushes are extremely aesthetically pleasing with a dome shaped product encased in a sleek black package. There are five different shades to choose from when selecting one of these baked blushes and the colour shown above is Fashionista, a dusty rose with a hint of coral to it. 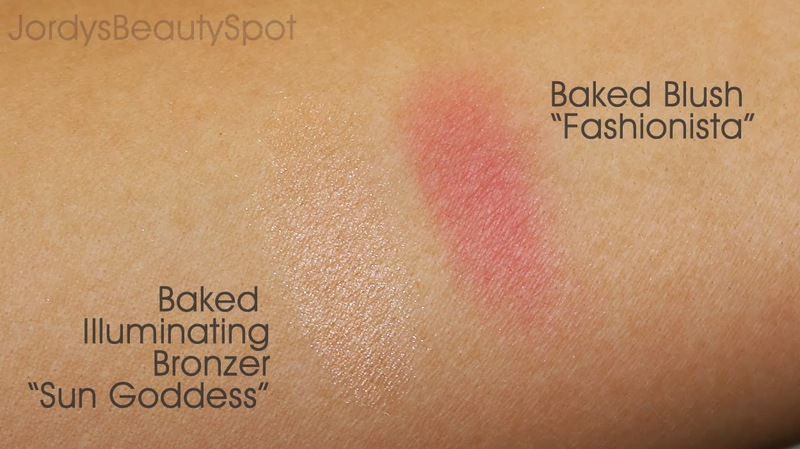 Similarly to the bronzer, the blush has a beautiful velvet sheen throughout it resulting a luxurious illuminating glow. 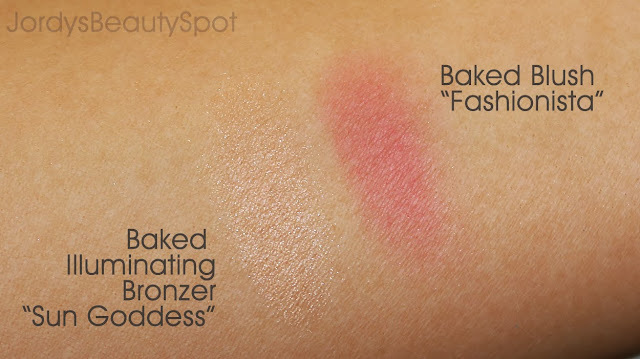 The blushes retail for $35 for a significantly smaller amount of product in comparison to the Illuminating Bronzer. 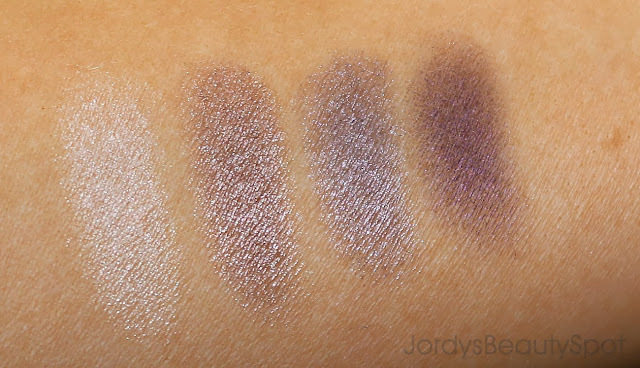 Signature Mineral Quad "Runaway Collection"
This quad includes four purple based Eyeshadows; purple toned lilac highlight, purple toned bronze, bright violet and a deep dusty lilac. 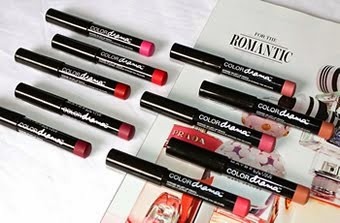 These have a beautiful velvety finish that glide onto your lids and are packed full of beautiful colour. 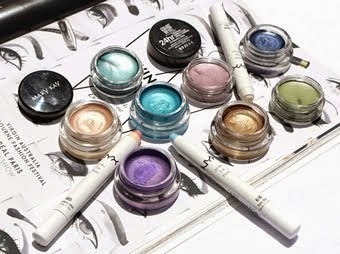 My only concern is that if you don't like frosty Eyeshadows then you probably won't enjoy these shades as much as someone who likes a metallic glittery finish. 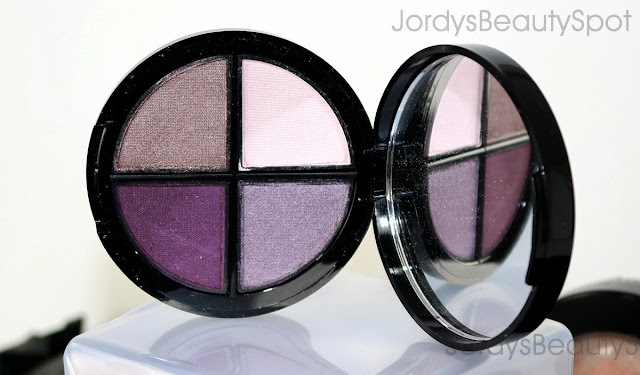 This quad retails for $75.50 which works out to be $18.90 each shadow. Above are swatches of each of the four eyeshadow shades included in the quad. So overall this is quite a pricey brand but the products are of extremely high quality. This is a fantastic brand if you personally love a dewy, young and fresh look as most products include illuminating elements. I would also recommend these if you are a professional makeup artist as the packaging is very sleek (comparable to MAC) and looks gorgeous in a kit.